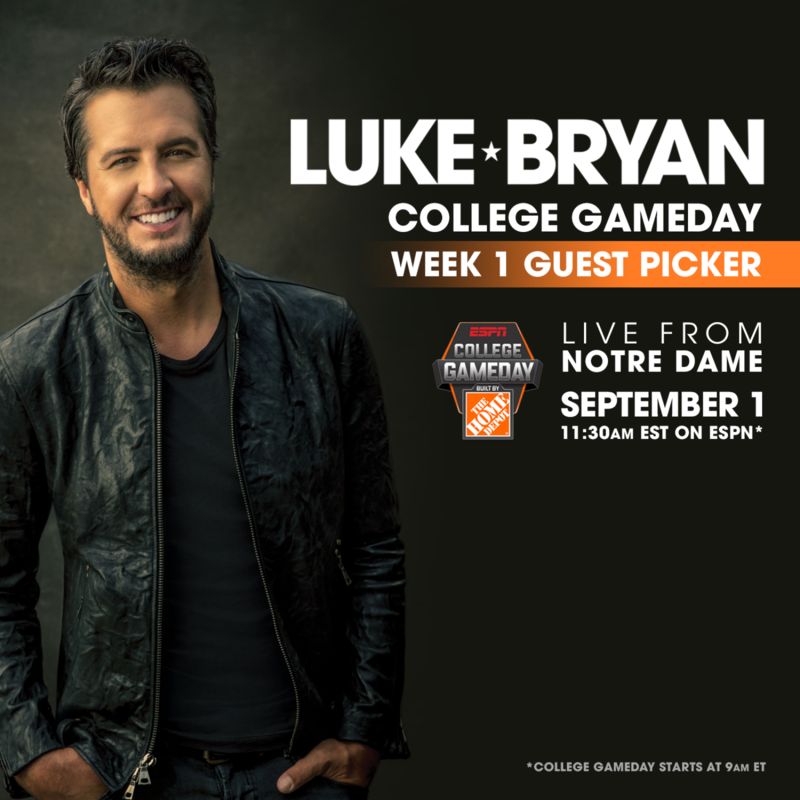 Luke Bryan will take his “What Makes You Country Tour XL Stadium Sized” to Chicago’s Wrigley Field this Saturday but before hitting the concert stage Luke will make a stop in South Bend, Indiana to serve a celebrity guest game picker on ESPN’s College GameDay Built by The Home Depot. As the Fighting Irish and the Wolverines are set to play at Notre Dame Stadium to launch their season opener, Luke will visit the iconic set, located in the Library Quad, with host Rece Davis and analysts Lee Corso, Kirk Herbstreit and Desmond Howard. College GameDay Built by The Home Depot is kicking off its 2018 season campaign by paying homage to where it all began: The University of Notre Dame. The 10-time Emmy award-winning pregame show begins at 9 a.m. on ESPN, with Luke expected to appear around 11:30 a.m. He, along with the other analysts, will make his picks for college football’s opening weekend.